“Women Who Laugh While Playing Golf” is how Amy Goodwin best describes her golf group in McKinney, Texas. 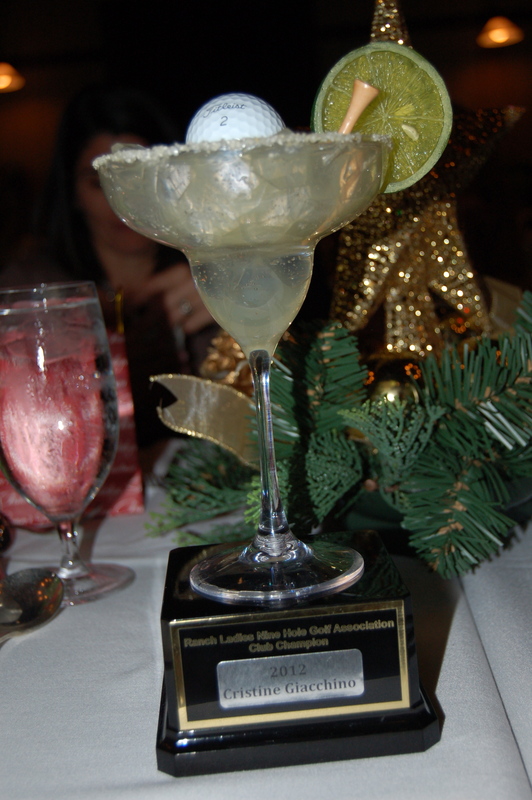 Prior to the 2012 season, Amy’s jovial group didn’t have a club championship; then they came up with the idea to hold a “Winner Take All” 9 hole Club Championship where they would keep the results top secret until their Christmas Party in December. That’s where Far Out Awards gets involved. Christine Giacchino! Congrats to Christine who may have been the first winner of the “Winner Take All” Championship, but definitely won’t be the last. Amy informed me that this special Far Out Award will be given out annually to the Stonebridge Ranch Ladies Nine Hole Golf Champion, we’re excited to hear about who is next. 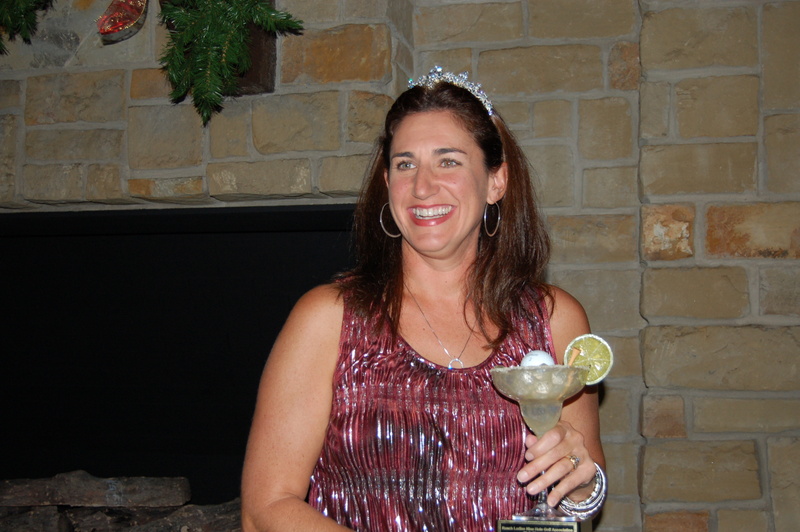 Christine Giacchino, the first winner of the Stonebridge Ranch Ladies Nine Hole Golf Championship, with her Far Out Award. Closeup of the prized Far Out Award at the Christmas Party after the winner was revealed.